Gone are the days when scanners were bulky and heavy. The new Fujitsu ScanSnap S1100 scanner weighs just about 12 ounces and fits easily into a briefcase. This ultra-slim portable scanner features a sleek design and advanced technology that digitalizes documents practically anywhere in a flash. Users just need a USB cable to connect the scanner to a PC or a Mac. The scanner can be fed almost anything from articles to brochures and checks. Scanned information is converted into PDF files and users can even edit their work in Word or Excel files. Users can also scan their work to Evernote and Google Docs cloud services for easy sharing and storing as long as they have Internet connection. 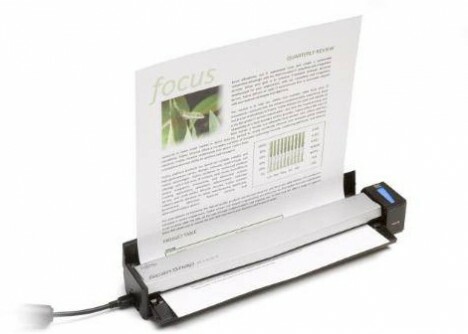 This world’s smallest and lightest scanner can scan a document in 7.5 seconds (300dpi, color). ScanSnap, as its name implies, scans beautifully in a snap!